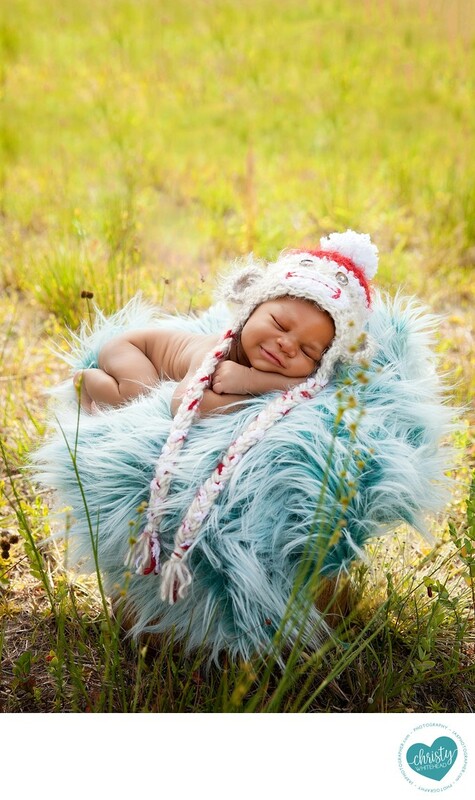 Smiling little boy outside in field, monkey hat - Newborn Photography | Schedule Your Newborn Shoot Today! Former Jacksonville Jaguars player's child. Great for smiles!